Our lawyers insisted that we append this disclaimer to our web site to protect us from a small, but determined group of Internet demons, spammers and hackers. This is the only way we have legal recourse to deal with them. Parker`s Maple Barn provides services to you subject to the following conditions. If you visit or shop at Parker`s Maple Barn, you accept these conditions. Please read them carefully. In addition, when you use any current or future Parker`s Maple Barn service or visit or purchase from any business affiliated with Parker`s Maple Barn, whether or not included in the Parker`s Maple Barn Web site, you also will be subject to the guidelines and conditions applicable to such service or business. Please review our Privacy Notice , which also governs your visit to Parker`s Maple Barn, to understand our practices. When you visit Parker`s Maple Barn or send e-mails to us, you are communicating with us electronically. You consent to receive communications from us electronically. We will communicate with you by e-mail or by telephone. You agree that all agreements, notices, disclosures and other communications that we provide to you electronically satisfy any legal requirement that such communications be in writing. Parker`s Maple Barn grants you a limited license to access and make personal use of this site and not to download (other than page caching) or modify it, or any portion of it, except with express written consent of Parker`s Maple Barn. This license does not include any resale or commercial use of this site or its contents; any collection and use of any product listings, descriptions, or prices; any derivative use of this site or its contents; any downloading or copying of account information for the benefit of another merchant; or any use of data mining, robots, or similar data gathering and extraction tools. This site or any portion of this site may not be reproduced, duplicated, copied, sold, resold, visited, or otherwise exploited for any commercial purpose without express written consent of Parker`s Maple Barn. You may not frame or utilize framing techniques to enclose any trademark, logo, or other proprietary information (including images, text, page layout, or form) of Parker`s Maple Barn and our affiliates without express written consent. You may not use any meta tags or any other "hidden text" utilizing Parker`s Maple Barn`s name or trademarks without the express written consent of Parker`s Maple Barn. Any unauthorized use terminates the permission or license granted by Parker`s Maple Barn. You are granted a limited, revocable, and nonexclusive right to create a hyperlink to the home page of Parker`s Maple Barn so long as the link does not portray Parker`s Maple Barn, its affiliates, or their products or services in a false, misleading, derogatory, or otherwise offensive matter. You may not use any Parker`s Maple Barn logo or other proprietary graphic or trademark as part of the link without express written permission. If you use this site, you are responsible for maintaining the confidentiality of your account and password and for restricting access to your computer, and you agree to accept responsibility for all activities that occur under your account or password. Parker`s Maple Barn sell their products only to adults, who can purchase with a credit card. If you are under 18, you may use Parker`s Maple Barn only with involvement of a parent or guardian. Parker`s Maple Barn and its affiliates reserve the right to refuse service, terminate accounts, remove or edit content, or cancel orders in their sole discretion. Visitors may send us comments and other content; and submit suggestions, ideas, comments, questions, or other information, so long as the content is not illegal, obscene, threatening, defamatory, invasive of privacy, infringing of intellectual property rights, or otherwise injurious to third parties or objectionable and does not consist of or contain software viruses, political campaigning, commercial solicitation, chain letters, mass mailings, or any form of "spam." You may not use a false e-mail address, impersonate any person or entity, or otherwise mislead us as to the origin of any content. Upon sending us content, you grant Parker`s Maple Barn and its affiliates a nonexclusive, royalty-free, perpetual, irrevocable, and fully sublicensable right to use, reproduce, modify, adapt, publish, translate, create derivative works from, distribute, and display such content throughout the world in any media. You grant Parker`s Maple Barn and its affiliates and sublicensees the right to use the name that you submit in connection with such content, if they choose. You represent and warrant that you own or otherwise control all of the rights to the content that you send us; that the content is accurate; that use of the content you supply does not violate this policy and will not cause injury to any person or entity; and that you will indemnify Parker`s Maple Barn or its affiliates for all claims resulting from content you supply. Parker`s Maple Barn has the right but not the obligation to monitor and edit or remove any activity or content. Parker`s Maple Barn takes no responsibility and assumes no liability for any content sent by you or any third party. Parker`s Maple Barn and its affiliates respect the intellectual property of others. If you believe that your work has been copied in a way that constitutes copyright infringement, please follow our Notice and Procedure for Making Claims of Copyright Infringement. All items purchased from Parker`s Maple Barn are made pursuant to a shipment contract. This means that the risk of loss and title for such items pass to you upon our delivery to the carrier. Parker`s Maple Barn and its affiliates attempt to be as accurate as possible. However, Parker`s Maple Barn does not warrant that product descriptions or other content of this site is accurate, complete, reliable, current, or error-free. If a product offered by Parker`s Maple Barn itself is not as described, your sole legal remedy is to return it in unused condition. We may grant other remedies at our option. Except where noted otherwise, the List Price displayed for products on our website represents the full retail price listed on the product itself, suggested by the manufacturer or supplier, or estimated in accordance with standard industry practice. The List Price is a comparative price estimate and may or may not represent the prevailing price in every area on any particular day. For certain items that are offered as a set, the List Price may represent "open-stock" prices, which means the aggregate of the manufacturer`s estimated or suggested retail price for each of the items included in the set. Where an item is offered for sale by one of our merchants, the List Price may be provided by the merchant. If an item`s correct price is lower than our stated price, we will charge the lower amount and ship you the item. If an item`s correct price is higher than our stated price, we will, at our discretion, either contact you for instructions before shipping or cancel your order and notify you of such cancellation. Please note that this policy applies only to products sold and shipped by Parker`s Maple Barn. Your purchases from third-party sellers using Parker`s Maple Barn Payments are charged at the time you place your order, and third-party sellers may follow different policies in the event of a mispriced item. Parties other than Parker`s Maple Barn and its subsidiaries operate stores, provide services, or sell product lines on this site. We provide links to the sites of affiliated companies and certain other businesses. We are not responsible for examining or evaluating, and we do not warrant the offerings of, any of these businesses or individuals or the content of their Web sites. Parker`s Maple Barn does not assume any responsibility or liability for the actions, product, and content of all these and any other third parties. You should carefully review their privacy statements and other conditions of use. This site is provided by Parker`s Maple Barn On an "as is" and "as available" Basis. Parker`s Maple Barn Makes no representations or warranties of any Kind, express or implied, as to the operation of this site or the information, Content, materials, or products included on this site. You expressly agree That your use of this site is at your sole risk. To the full extent permissible by applicable law, Parker`s Maple Barn Disclaims All warranties, express or implied, including, but not limited to, implied Warranties of merchantability and fitness for a particular purpose. 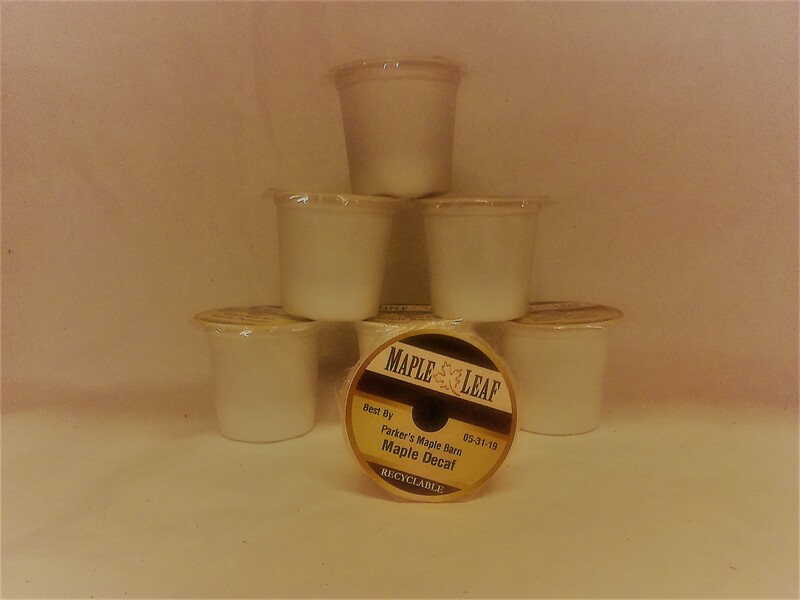 Parker`s Maple Barn Does not warrant that this site, its servers, or e-mail sent from Parker`s Maple Barn Are free of viruses or other harmful components. Parker`s Maple Barn Will not be liable for any damages of any kind arising from the use of this Site, including, but not limited to direct, indirect, incidental, punitive, And consequential damages. By visiting Parker`s Maple Barn, you agree that the laws of the state of New Hampshire, without regard to principles of conflict of laws, will govern these Conditions of Use and any dispute of any sort that might arise between you and Parker`s Maple Barn or its affiliates. Any dispute relating in any way to your visit to Parker`s Maple Barn or to products you purchase through Parker`s Maple Barn shall be submitted to confidential arbitration in Concord, New Hampshire, except that, to the extent you have in any manner violated or threatened to violate Parker`s Maple Barn`s intellectual property rights, Parker`s Maple Barn may seek injunctive or other appropriate relief in any state or federal court in the state of New Hampshire, and you consent to exclusive jurisdiction and venue in such courts. Arbitration under this agreement shall be conducted under the rules then prevailing of the American Arbitration Association. The arbitrator`s award shall be binding and may be entered as a judgment in any court of competent jurisdiction. To the fullest extent permitted by applicable law, no arbitration under this Agreement shall be joined to an arbitration involving any other party subject to this Agreement, whether through class arbitration proceedings or otherwise. Please review our other policies, such as our pricing policy, posted on this site. These policies also govern your visit to Parker`s Maple Barn. We reserve the right to make changes to our site, policies, and these Conditions of Use at any time. If any of these conditions shall be deemed invalid, void, or for any reason unenforceable, that condition shall be deemed severable and shall not affect the validity and enforceability of any remaining condition. Pursuant to Title 17, United States Code, Section 512(c)(2), notifications of claimed copyright infringement must be sent to Service Provider`s Designated Agent. Your name, physical address and telephone number, and a statement that you consent to the jurisdiction of a Federal District Court for the judicial district in which your physical address is located, or if your physical address is outside of the United States, for any judicial district in which Delorey Consulting Group LLC may be found, and that you will accept service of process from the person who provided notification of allegedly infringing material or an agent of such person. Copyright © 1998-2019 Delorey Consulting Group LLC - All Rights Reserved.